We will begin processing your order once your check or money order has cleared our bank. You will receive an email order confirmation within twenty-four (24) hours of placing an order with our online store. Our products are shipped via UPS and FedEx. Shipping rates vary depending on the weight and size of the item and the location to which it is being shipped. Typically, orders for standard items will be shipped within ten (10) days of the date your order is received. Customized pieces require additional time — please contact us and we will be happy to provide you with an estimate of the time necessary to create your one of a kind creation. If you require expedited shipping, please contact us to make arrangements. Additional charges will apply. 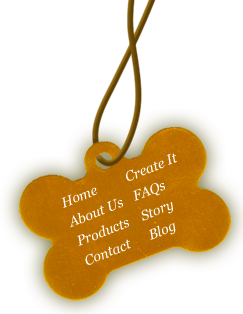 Our primary goal at Magic Brush Pets is to provide you with a pleasurable shopping experience and a unique product that will be cherished for years to come. In furtherance of this goal, we are happy to offer you a thirty (30) day money-back guarantee for all standard pieces (i.e., pieces which have not been customized); if you are unsatisfied with the product for any reason, return it to us and we will provide a refund or replacement. Shipping and handling fees are non-refundable. We can only accept return of a personalized item if we have made an error in the order. In such case, we will correct the error and return the item to you at no additional charge. If you made a mistake when providing us the information for the personalized item, we will correct the error for an additional fee. Please be sure to double check any requests for personalization prior to submission to insure your complete satisfaction. All images and designs on this website are copyrighted by Magic Brush Arts, LLC d/b/a Magic Brush Pets. You agree not to use such images and/or designs on any other websites or for any other purposes without our express written permission. You may request permission by contacting us via email at pixies@magicbrusharts.com or by mail addressed to Magic Brush Pets, P.O. Box 674, Niwot, Colorado 80544. Any use not expressly granted by us constitutes copyright infringement, and we will take all actions necessary to stop such usage, including pursuing legal remedies. Links to other websites are provided as a convenience to our customers. Links do not constitute an endorsement of the services/products offered on the linked site, and we are not responsible for any such websites or their content. Magic Brush Pets makes no express or implied warranties or representations with regard to this site, including its service and content. We do not guarantee that the site will always function perfectly or that various communication lines will remain uninterrupted during your visit. You understand and agree that you are personally responsible for your behavior on this site. You agree to indemnify, defend, and hold harmless Magic Brush Arts, LLC, Magic Brush Pets, our business partners, licensees, employees, agents, and any third-party information providers from and against all claims, losses, expenses, damages, and costs (including but not limited to, direct, incidental, consequential, exemplary, and indirect damages), as well as reasonable attorney’s fees and costs, resulting from or arising out of your use, misuse, or inability to use our site, site services, or content, or any violation by you of this Agreement. For each visit to our website, our web server does NOT automatically recognize any information regarding the domain or e-mail address. No registration is required to visit our site, however certain contact information must be provided at the time of placing an order. We will never sell or share this information except for the following purposes: for shipping/billing purposes; if we are required to do so by law; or if necessary to resolve a customer complaint or dispute.